There's an awful lot that's already been said about how Avengers 4 will use time travel to "solve" the issues caused by Thanos' devastating snap at the end of Infinity War. General thinking suggests that Ant-Man will be key to how time travel will even be possible, given his knowledge of the Quantum Realm and that specific mention of Time Vortexes in Ant-Man And The Wasp, but there's something of a complication in the works. Not only do we not know WHY the Avengers would time travel (since going back to collect the Stones would ruin the time line and wipe out at least two characters - Vision and Scarlet Witch), but the Russos have already teased that the plot might depend on something other than time travel. They said some time ago that there's a key bit of technology involved in Captain America: Civil War that will come back into play in Avengers 4. The only possible answer to that little tease is Tony Stark's B.A.R.F. (Binarily Augmented Retro-Framing) that he introduces by saying it's "an extremely costly method of hijacking the hippocampus..." He admittedly adds that its intention is to "clear" traumatic memories, but from the demonstration that opens Civil War, it's not clear how it clears anything: all we see is Tony seeing his memories as vividly as if they were happening right then. Presumably, his description means in a psychological fashion - the "patient" would be forced to face their trauma in the interest of confronting and beating it. So what the hell could that have to do with Avengers 4? 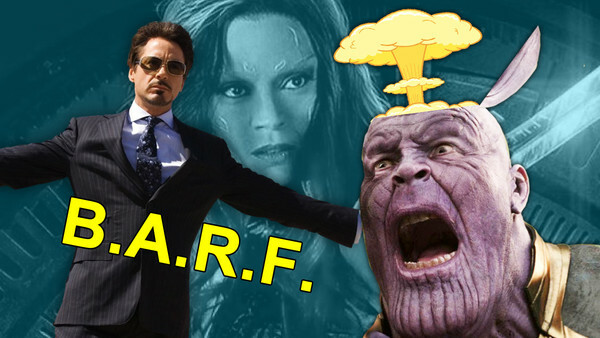 Well, putting time travel aside for the moment (because it is still likely to happen to reverse the snap), it could be the case that Tony Stark returns to his B.A.R.F. technology to force Thanos to relive his own most traumatic memory to try and convince him to help undo the snap. Or to convince him never to do it in the first place, if that's the way the story goes. That much doesn't matter, what matters is HOW that could be achieved. Think about it: the Russos have already teased the fact that Thanos could be made to regret one hugely important element of the lead up to the snap. As he said in the immediate aftermath to his own projection of his dead daughter, Gamora, the price of achieving his goal was "everything." Add that to the very obvious anguish that he had to overcome to even consider sacrificing her and you have a traumatic memory. There's no way Thanos would care enough about the death of his planet for it to be used to convince him to change his approach (if anything it would CONFIRM his commitment, surely?) There's no way he can be made to feel the deaths of the billions he wiped out - he's too egocentric to care (even about the victims he might have personally admired). The only thing that very obviously left any sort of mark on him other than his rejection by his people was having to murder Gamora. It makes sense, then, that Tony Stark would use that information - gleaned from conversations with Nebula, who remains alive with him on Titan - as the ammunition for his weaponisation of B.A.R.F. against Thanos. 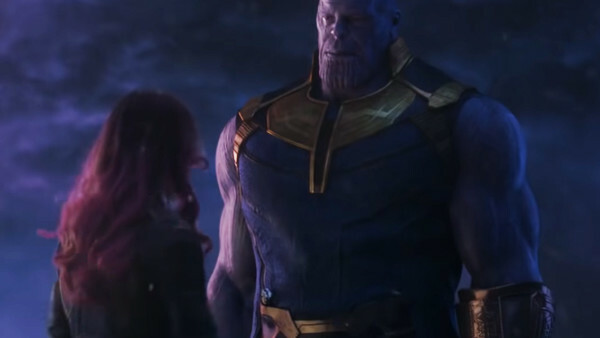 He might not care to regret the universe's semi-extinction, but he could be made to see the value of returning Gamora. There's another thing too: Tony Stark and Thanos are strange mirror images of one another. As Thanos says, both are "haunted by knowledge" and that line might offer further hint at how Stark will change Thanos' mind. The Mad Titan effectively gave him the key by using an emotionally-loaded word like "haunted," suggesting his susceptibility to ghosts, and there's only one ghost that would matter to him. We've already seen that Thanos is too strong to be killed by one of the universe's strongest weapons, built with the specific purpose to kill him. He simply shrugged off what should have been a fatal blow and healed himself with the Time Stone. Even a god couldn't take him down and a monster the size of Hulk was no match even when he wasn't fully powered. Captain Marvel might be a vastly more powerful entity (or so we're told), but there's no suggestion that she'd even be more powerful than Thor. The only enemy effective enough to defeat Thanos is the only force capable of convincing Tony Stark to give up being Iron Man: the will has to come from within. That's why their parallel is so important. Thanos can only be defeated by himself and the only way to do that is to weaponise his regret and his guilt against him. So that could be why the B.A.R.F. system has been hinted as the key to Avengers 4: because it allows Tony Stark the means to do that in a more tangible way. It's not a means to clear trauma in Thanos, it's a means to turn it back on him. What do you think of this theory? 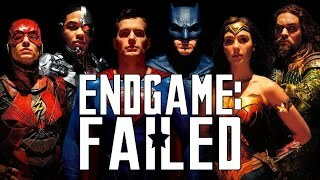 Share your reactions below in the comments thread and don't forget to subscribe to ThatFilmTheory on YouTube.